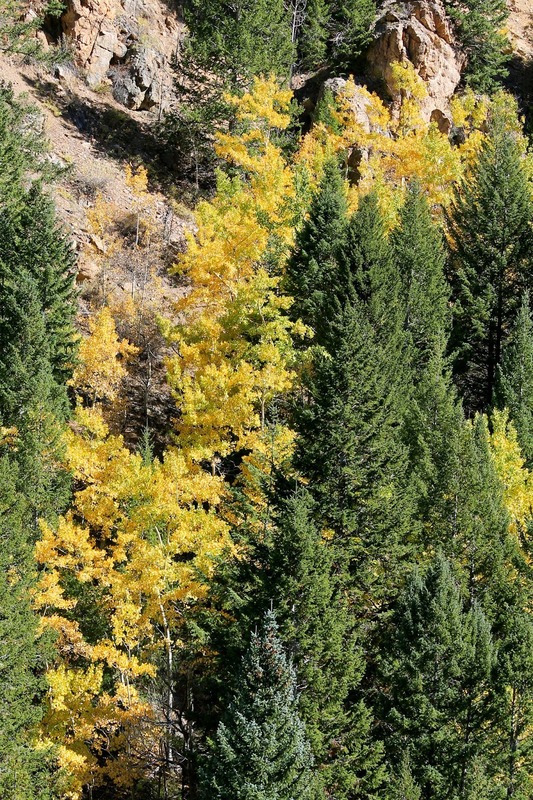 we took a drive up the hill to georgetown, colorado in hopes of catching the tail end of aspen season. it was cold and windy at the summit of guanella pass. the boys tromped through a few patches of fresh snow but quickly hopped right back in the car. we stopped for a few photos on the way back down the pass. i was shooting into the sun and had some trouble with my camera settings. 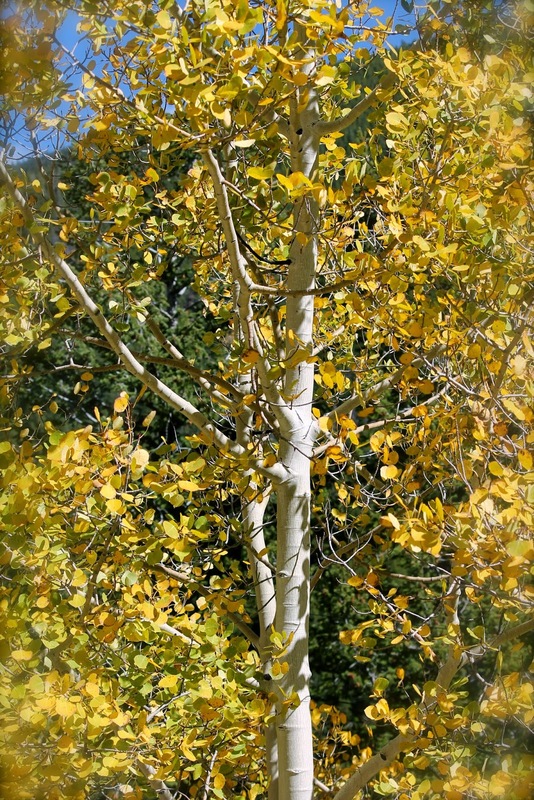 the image above shows my favorite part of the autumn aspen leaves. at the top of the photo do you see how they are spotted throughout the forest full of evergreen? they blend in all year but in fall they chose to finally distinguish themselves; they jump out and yell surprise! harrison and i were both feeling queasy from driving the curvy switchbacks on empty stomachs. i got out of the car to feel the cool breeze and concentrate on the gorgeous yellow leaves. he got out to climb some small boulders. he started feeling better almost immediately. 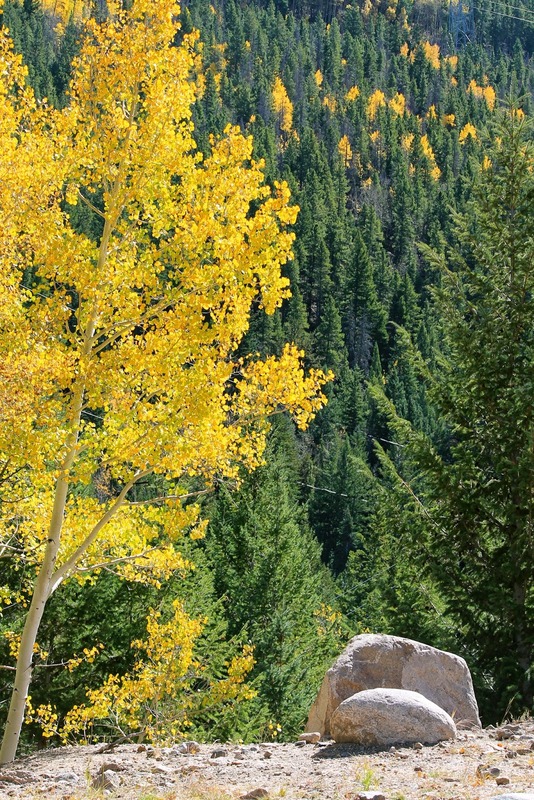 the guanella pass scenic byway is the perfect road for a lovely sunday drive.